Well, I think a hale and hearty “Merry Christmas” is due, wouldn’t you say? I also want to wish a Happy Holiday season to all our readers, whether Christmas is a holiday you celebrate or not. In 2014, Critical Missives grew from a blog without much direction that averaged a few clicks a day to one that features lots of original content and several recurring features that draw thousands of views a month from all over the globe (we recorded views from 92 DIFFERENT COUNTRIES!!). And we have all of you folks to thank for that. No, we’re not HCrealms.com, nor are we trying to be–those fine folks already do a great job with their site. 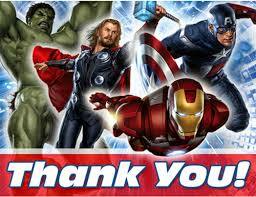 But we do feel that we have some original thoughts about gaming in general and Heroclix in particular every now and then, and we’re delighted every time one of you stops by to check us out. Hopefully you found something worth your time, whether it was a Build idea, a new way of looking at a character, venue information or–even better–just a cheap laugh or two. 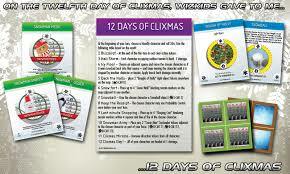 So Night 12, the final night of Clix-mas, is devoted to you folks. We wanted to express our gratitude to you all for getting us to where we are, as well as tell you where we plan on going. Before the end of the year, we have HypeFox’s Second Opinion on the Top Ten Figures in Flash, and once January hits we’ll have more Weekly Roundups, and end 0f year “Best Of” (not unlike this column that we ran last year) and we’ll dive deep into the Gotham Episode Guide!! We hope to see you there! But until then, Stay Safe, and Watch Where You Draw Your Lines of Fire!